After my INSANE Black Friday shopping spree, I’m about a R100 short of being completely broke – but of course, the pathetic state of my bank balance can’t stop me from lusting after some of the most gorgeous summer-friendly items that I’ve happened to come across on various online sites recently. As you may know, Summer, for most women, is all about shorts, bikinis and strappy tops but being a modest dresser, the previously mentioned items don’t really work for me – so I picked a few items that I wish could magically make its way into my wardrobe and even styled it too! I was recently browsing through Superbalist’s dress category and this dress caught my eye. The print and overall silhouette of this dress is really what caught my eye. The print is bold without being too busy and the oversized-ness of the dress gives it a really loose and flowy quality, which is perfect for summer! A pair of black leggings, a loosely-tied black scarf, chunky sandals, a black cross-body bag and a simple bracelet during the day. For an evening look, swop out the scarf for a turban, the chunky sandals for a pair of black, singular-strapped heeled sandals and ditch the black cross-body bag for a black clutch with silver hardware. This maxi dress, for me, is the epitome of relaxation. It just looks so cool and comfy and somehow wants to make me take a stroll along the beach! The fact that it’s a maxi dress basically means that you are only a few accessories away from stepping out the door! A pair of tan gladiator sandals, a gold cuff and midi rings, a tan backpack and a beige scarf worn as a turban during the day. And you may need to add a white inner to cover up those arms! And for the evening, swop the gladiators for a simple gold sandal and simply add a gold statement necklace whilst losing the cuff and rings. What could be better than sophisticated stripes?! Exactly. Nothing. I love the fact that it doesn’t require an inner and it’s long enough to cover your bum and other unmentionables! And the loose fit is perfect for those of you who want to hide and lumps and bumps! A pair of black skinnies, silver brogues, a simple silver strand pendant necklace, a black backpack and a dark gray turban during the day. And for the evening, swop out the silver brogues for a pointed silver heel, the pendant necklace for a chunky silver statement necklace and the gray turban for a black one. And if need be, add on an embellished silver clutch. 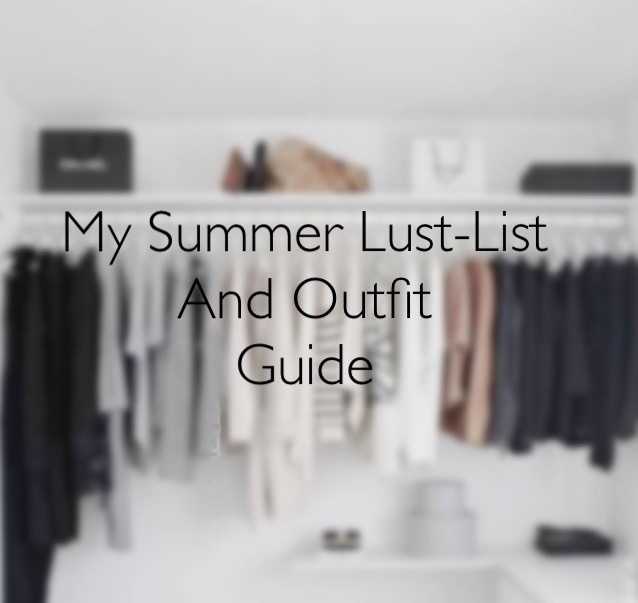 And that’s basically my summer lust-list complete with outfit guide for all you modest dressers out there! And if there is any item that you’re lusting after, do let me know?